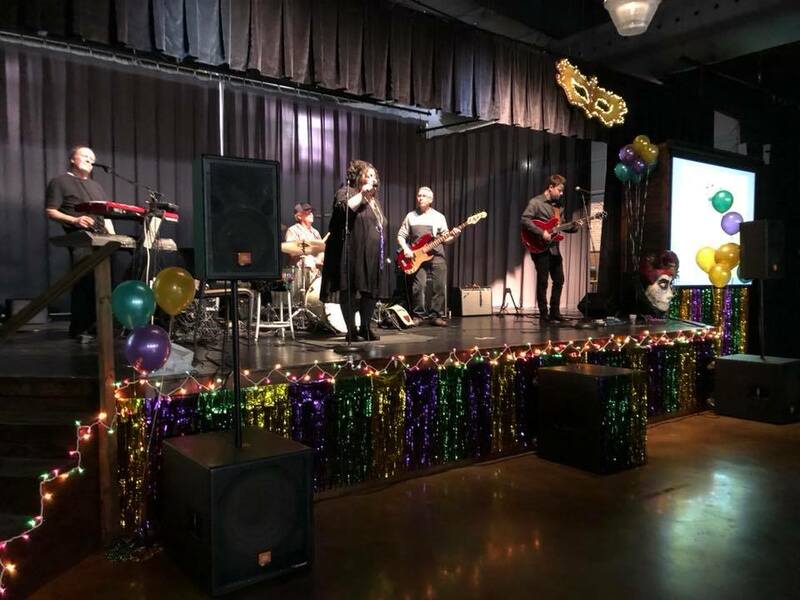 Athens Main Street hosted the Inaugural Mardi Gras Bash on February 10, 2018 with presenting sponsor Martin and Cobey Construction Company, Inc.
375 people braved the pouring rain to attend this festive event held at the Limestone County Event Center. Attendees enjoyed music by Kozmic Mama, Mardi Gras style hors d’oeuvres, King cake, masks, beads, feathers and moon pies. The date for the Second Annual Mardi Gras Bash is March 2, 2019.